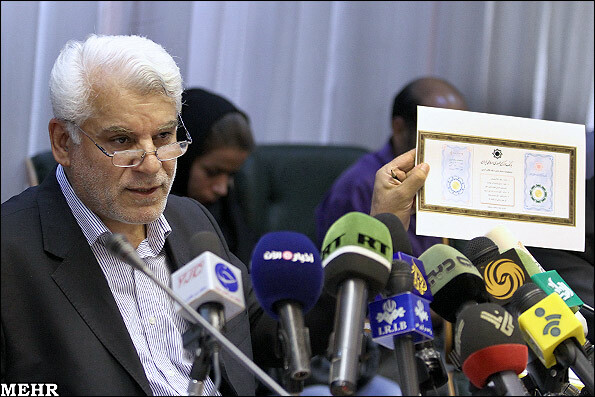 Iranian Central Bank Governor Mahmoud Bahmani has threatened that he would resign in protest to a new Majlis ratification on reshuffling the bank's board of directors. "If one day I reach to the conclusion that the Central Bank has lost its independence, that will be the day I quit the job," Bahmani stressed. The current combination of the Central Bank's board of directors are president, economy and commerce ministers, deputy president for strategic planning, and a minister selected by the cabinet. However, in a voting on Sunday the Majlis removed the president from the board of directors in what lawmakers described as a step toward the "independence" of the central bank. According to the ratification, the board includes minister of economic affairs and finance, the deputy president deputy for strategic planning, national prosecutor general, the chamber of commerce chairman and 7 economists with at least 15 years of experience. Bahmani has reacted to the term independence by Majlis, saying, "The central bank has been independent and will remain independent." He said the bank was not independent it could not decide about foreign exchange. "The central bank will retain its independence based on expertise." He added all tools may exist for independence of the bank but the chairman of the bank would not be independent. He went on to say that "if I would not be able to do something for the system I will quit."